Global Luggage Locks Market 2017-2021, has been prepared based on an in-depth market analysis with inputs from industry experts. The report covers the market landscape and its growth prospects over the coming years. The report also includes a discussion of the key vendors operating in this market. A luggage lock is an instrument that prevents the luggage from opening by accident and secures the items inside it. Luggage comes in various categories such as travel bags, bag packs, duffel bags, laptop bags, and business travelling bags. The variation in consumer choice drives the demand for various luggage types. The increase in outdoor sports and adventure travels also push the demand for luggage bags in the market. 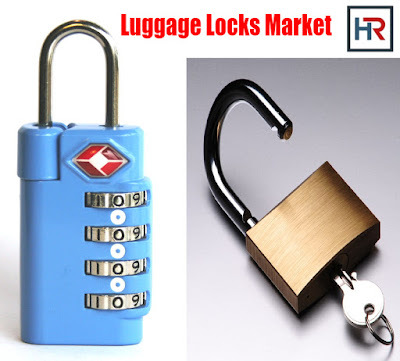 The Global Luggage Locks Market is forecasted to grow at a CAGR of 4.10% during the period 2017-2021.